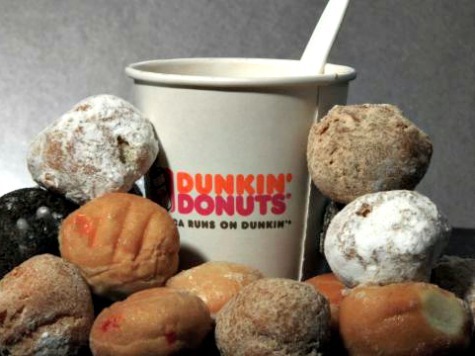 On Tuesday, Dunkin Donuts opened in Santa Monica, with some patrons waiting over 30 hours in line to sip the famous New England brand coffee and eat some Munchkins. The Santa Monica restaurant is the second to open in California, and it comes only one week after the first Dunkin’ opened in Modesto, Calif. Parent company Dunkin’ Brands Group plans on opening 200 stores by 2020 in California and has a long-range goal of opening 1,000 in the Golden State. New Englanders have an affinity for Santa Monica and are happy to see the arrival of the store to the region. “I’m originally from Connecticut, so I’m a big Dunkin’ Donuts fan,” said Johnny Hooper, who spent over a day in line to get an iced French vanilla coffee. According to the Boston Globe, many transplanted New Englanders reside in Santa Monica. The city that sits along the Pacific just west of Los Angeles was the hideaway for Boston tough guy James “Whitey” Bulger. Moreover, it is home to the Boston-themed bar and restaurant Sonny McLean’s Irish Pub. Despite Dunkin’s popularity and aggressive business plan, it has its work cut out to overcome Starbuck’s reach in California. The upscale Starbucks has over 2,500 stores in California.